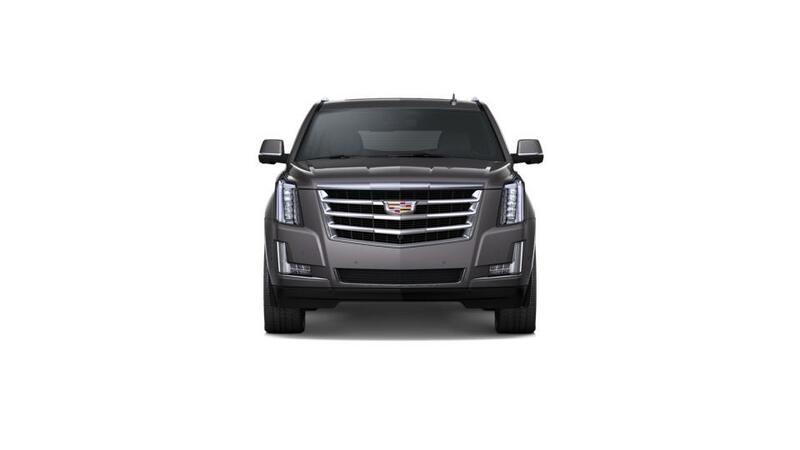 Still Searching for a new Cadillac Near Overland Park or Olathe? Lease for $1,168/month for 39 months with $9,799 due at signing including $0 Security Deposit and 10,000 miles per year. Payment expires on 04/30/19. Estimated Lease payment based on 39 months and $9,799 due at lease signing. Cash due at signing includes $8,632 capitalization cost reduction, which includes $650 acquisition fee, plus a required security deposit of $0, and first month's lease payment of $1,168. Excludes title, taxes, registration, and license fees. Total monthly payments equal $54,177. Mileage charge of $0.25 per mile over 10,000 miles. Not all consumers will qualify. Residency restrictions may apply. Lease for $1,345/month for 39 months with $9,050 due at signing including $0 Security Deposit and 10,000 miles per year. Payment expires on 04/30/19. Estimated Lease payment based on 39 months and $9,050 due at lease signing. Cash due at signing includes $7,706 capitalization cost reduction, which includes $650 acquisition fee, plus a required security deposit of $0, and first month's lease payment of $1,345. Excludes title, taxes, registration, and license fees. Total monthly payments equal $60,156. Mileage charge of $0.25 per mile over 10,000 miles. Not all consumers will qualify. Residency restrictions may apply. Finance for $1,277 per month at 3.9% APR for 60 months with $8,720 down payment. Payment expires on 04/30/19. Estimated Finance payment based upon 3.9% APR for 60 months, with a down payment of $8,720. Excludes title, taxes, registration, and license fees. Some customers will not qualify. See your authorized dealer for complete details on this and other offers. Residency restrictions may apply. Lease for $790/month for 39 months with $8,720 due at signing including $0 Security Deposit and 10,000 miles per year. Payment expires on 04/30/19. Estimated Lease payment based on 39 months and $8,720 due at lease signing. Cash due at signing includes $7,930 capitalization cost reduction, which includes $650 acquisition fee, plus a required security deposit of $0, and first month's lease payment of $790. Excludes title, taxes, registration, and license fees. Total monthly payments equal $38,732. Mileage charge of $0.25 per mile over 10,000 miles. Not all consumers will qualify. Residency restrictions may apply. Finance for $1,334 per month at 3.9% APR for 60 months with $8,951 down payment. Payment expires on 04/30/19. Estimated Finance payment based upon 3.9% APR for 60 months, with a down payment of $8,951. Excludes title, taxes, registration, and license fees. Some customers will not qualify. See your authorized dealer for complete details on this and other offers. Residency restrictions may apply. Lease for $926/month for 39 months with $8,951 due at signing including $0 Security Deposit and 10,000 miles per year. Payment expires on 04/30/19. Estimated Lease payment based on 39 months and $8,951 due at lease signing. Cash due at signing includes $11,026 capitalization cost reduction, which includes $650 acquisition fee, plus a required security deposit of $0, and first month's lease payment of $926. Excludes title, taxes, registration, and license fees. Total monthly payments equal $47,113. Mileage charge of $0.25 per mile over 10,000 miles. Not all consumers will qualify. Residency restrictions may apply. Finance for $1,342 per month at 3.9% APR for 60 months with $9,004 down payment. Payment expires on 04/30/19. Estimated Finance payment based upon 3.9% APR for 60 months, with a down payment of $9,004. Excludes title, taxes, registration, and license fees. Some customers will not qualify. See your authorized dealer for complete details on this and other offers. Residency restrictions may apply. Lease for $932/month for 39 months with $9,004 due at signing including $0 Security Deposit and 10,000 miles per year. Payment expires on 04/30/19. Estimated Lease payment based on 39 months and $9,004 due at lease signing. Cash due at signing includes $11,073 capitalization cost reduction, which includes $650 acquisition fee, plus a required security deposit of $0, and first month's lease payment of $932. Excludes title, taxes, registration, and license fees. Total monthly payments equal $47,398. Mileage charge of $0.25 per mile over 10,000 miles. Not all consumers will qualify. Residency restrictions may apply. Finance for $1,370 per month at 3.9% APR for 60 months with $9,172 down payment. Payment expires on 04/30/19. Estimated Finance payment based upon 3.9% APR for 60 months, with a down payment of $9,172. Excludes title, taxes, registration, and license fees. Some customers will not qualify. See your authorized dealer for complete details on this and other offers. Residency restrictions may apply. Lease for $1,052/month for 39 months with $9,172 due at signing including $0 Security Deposit and 10,000 miles per year. Payment expires on 04/30/19. Estimated Lease payment based on 39 months and $9,172 due at lease signing. Cash due at signing includes $11,121 capitalization cost reduction, which includes $650 acquisition fee, plus a required security deposit of $0, and first month's lease payment of $1,052. Excludes title, taxes, registration, and license fees. Total monthly payments equal $52,111. Mileage charge of $0.25 per mile over 10,000 miles. Not all consumers will qualify. Residency restrictions may apply. Finance for $1,382 per month at 3.9% APR for 60 months with $9,247 down payment. Payment expires on 04/30/19. Estimated Finance payment based upon 3.9% APR for 60 months, with a down payment of $9,247. Excludes title, taxes, registration, and license fees. Some customers will not qualify. See your authorized dealer for complete details on this and other offers. Residency restrictions may apply. Lease for $1,061/month for 39 months with $9,247 due at signing including $0 Security Deposit and 10,000 miles per year. Payment expires on 04/30/19. Estimated Lease payment based on 39 months and $9,247 due at lease signing. Cash due at signing includes $11,186 capitalization cost reduction, which includes $650 acquisition fee, plus a required security deposit of $0, and first month's lease payment of $1,061. Excludes title, taxes, registration, and license fees. Total monthly payments equal $52,550. Mileage charge of $0.25 per mile over 10,000 miles. Not all consumers will qualify. Residency restrictions may apply. Finance for $1,392 per month at 3.9% APR for 60 months with $9,307 down payment. Payment expires on 04/30/19. Estimated Finance payment based upon 3.9% APR for 60 months, with a down payment of $9,307. Excludes title, taxes, registration, and license fees. Some customers will not qualify. See your authorized dealer for complete details on this and other offers. Residency restrictions may apply. Lease for $1,069/month for 39 months with $9,307 due at signing including $0 Security Deposit and 10,000 miles per year. Payment expires on 04/30/19. Estimated Lease payment based on 39 months and $9,307 due at lease signing. Cash due at signing includes $11,239 capitalization cost reduction, which includes $650 acquisition fee, plus a required security deposit of $0, and first month's lease payment of $1,069. Excludes title, taxes, registration, and license fees. Total monthly payments equal $52,901. Mileage charge of $0.25 per mile over 10,000 miles. Not all consumers will qualify. Residency restrictions may apply. Finance for $1,397 per month at 3.9% APR for 60 months with $9,334 down payment. Payment expires on 04/30/19. Estimated Finance payment based upon 3.9% APR for 60 months, with a down payment of $9,334. Excludes title, taxes, registration, and license fees. Some customers will not qualify. See your authorized dealer for complete details on this and other offers. Residency restrictions may apply. Lease for $1,072/month for 39 months with $9,334 due at signing including $0 Security Deposit and 10,000 miles per year. Payment expires on 04/30/19. Estimated Lease payment based on 39 months and $9,334 due at lease signing. Cash due at signing includes $11,262 capitalization cost reduction, which includes $650 acquisition fee, plus a required security deposit of $0, and first month's lease payment of $1,072. Excludes title, taxes, registration, and license fees. Total monthly payments equal $53,059. Mileage charge of $0.25 per mile over 10,000 miles. Not all consumers will qualify. Residency restrictions may apply. Finance for $1,493 per month at 3.9% APR for 60 months with $9,247 down payment. Payment expires on 04/30/19. Lease for $1,144/month for 39 months with $9,247 due at signing including $0 Security Deposit and 10,000 miles per year. Payment expires on 04/30/19. Estimated Lease payment based on 39 months and $9,247 due at lease signing. Cash due at signing includes $8,104 capitalization cost reduction, which includes $650 acquisition fee, plus a required security deposit of $0, and first month's lease payment of $1,144. Excludes title, taxes, registration, and license fees. Total monthly payments equal $52,694. Mileage charge of $0.25 per mile over 10,000 miles. Not all consumers will qualify. Residency restrictions may apply. Finance for $1,503 per month at 3.9% APR for 60 months with $9,307 down payment. Payment expires on 04/30/19. Lease for $1,152/month for 39 months with $9,307 due at signing including $0 Security Deposit and 10,000 miles per year. Payment expires on 04/30/19. Estimated Lease payment based on 39 months and $9,307 due at lease signing. Cash due at signing includes $8,156 capitalization cost reduction, which includes $650 acquisition fee, plus a required security deposit of $0, and first month's lease payment of $1,152. Excludes title, taxes, registration, and license fees. Total monthly payments equal $53,046. Mileage charge of $0.25 per mile over 10,000 miles. Not all consumers will qualify. Residency restrictions may apply. Finance for $1,484 per month at 3.9% APR for 60 months with $9,859 down payment. Payment expires on 04/30/19. Estimated Finance payment based upon 3.9% APR for 60 months, with a down payment of $9,859. Excludes title, taxes, registration, and license fees. Some customers will not qualify. See your authorized dealer for complete details on this and other offers. Residency restrictions may apply. Lease for $1,157/month for 39 months with $9,859 due at signing including $0 Security Deposit and 10,000 miles per year. Payment expires on 04/30/19. Estimated Lease payment based on 39 months and $9,859 due at lease signing. Cash due at signing includes $11,703 capitalization cost reduction, which includes $650 acquisition fee, plus a required security deposit of $0, and first month's lease payment of $1,157. Excludes title, taxes, registration, and license fees. Total monthly payments equal $56,814. Mileage charge of $0.25 per mile over 10,000 miles. Not all consumers will qualify. Residency restrictions may apply. Finance for $1,494 per month at 3.9% APR for 60 months with $9,919 down payment. Payment expires on 04/30/19. Estimated Finance payment based upon 3.9% APR for 60 months, with a down payment of $9,919. Excludes title, taxes, registration, and license fees. Some customers will not qualify. See your authorized dealer for complete details on this and other offers. Residency restrictions may apply. Lease for $1,165/month for 39 months with $9,919 due at signing including $0 Security Deposit and 10,000 miles per year. Payment expires on 04/30/19. Estimated Lease payment based on 39 months and $9,919 due at lease signing. Cash due at signing includes $11,755 capitalization cost reduction, which includes $650 acquisition fee, plus a required security deposit of $0, and first month's lease payment of $1,165. Excludes title, taxes, registration, and license fees. Total monthly payments equal $57,169. Mileage charge of $0.25 per mile over 10,000 miles. Not all consumers will qualify. Residency restrictions may apply. Finance for $1,594 per month at 3.9% APR for 60 months with $9,859 down payment. Payment expires on 04/30/19. Lease for $1,241/month for 39 months with $9,859 due at signing including $0 Security Deposit and 10,000 miles per year. Payment expires on 04/30/19. Estimated Lease payment based on 39 months and $9,859 due at lease signing. Cash due at signing includes $8,619 capitalization cost reduction, which includes $650 acquisition fee, plus a required security deposit of $0, and first month's lease payment of $1,241. Excludes title, taxes, registration, and license fees. Total monthly payments equal $56,995. Mileage charge of $0.25 per mile over 10,000 miles. Not all consumers will qualify. Residency restrictions may apply. Finance for $1,603 per month at 3.9% APR for 60 months with $9,915 down payment. Payment expires on 04/30/19. Estimated Finance payment based upon 3.9% APR for 60 months, with a down payment of $9,915. Excludes title, taxes, registration, and license fees. Some customers will not qualify. See your authorized dealer for complete details on this and other offers. Residency restrictions may apply. Lease for $1,248/month for 39 months with $9,915 due at signing including $0 Security Deposit and 10,000 miles per year. Payment expires on 04/30/19. Estimated Lease payment based on 39 months and $9,915 due at lease signing. Cash due at signing includes $8,667 capitalization cost reduction, which includes $650 acquisition fee, plus a required security deposit of $0, and first month's lease payment of $1,248. Excludes title, taxes, registration, and license fees. Total monthly payments equal $57,324. Mileage charge of $0.25 per mile over 10,000 miles. Not all consumers will qualify. Residency restrictions may apply. Finance for $1,604 per month at 3.9% APR for 60 months with $9,919 down payment. Payment expires on 04/30/19. Lease for $1,249/month for 39 months with $9,919 due at signing including $0 Security Deposit and 10,000 miles per year. Payment expires on 04/30/19. Estimated Lease payment based on 39 months and $9,919 due at lease signing. Cash due at signing includes $8,671 capitalization cost reduction, which includes $650 acquisition fee, plus a required security deposit of $0, and first month's lease payment of $1,249. Excludes title, taxes, registration, and license fees. Total monthly payments equal $57,351. Mileage charge of $0.25 per mile over 10,000 miles. Not all consumers will qualify. Residency restrictions may apply. Finance for $1,418 per month at 3.9% APR for 60 months with $8,572 down payment. Payment expires on 04/30/19. Estimated Finance payment based upon 3.9% APR for 60 months, with a down payment of $8,572. Excludes title, taxes, registration, and license fees. Some customers will not qualify. See your authorized dealer for complete details on this and other offers. Residency restrictions may apply. Lease for $1,017/month for 39 months with $8,572 due at signing including $0 Security Deposit and 10,000 miles per year. Payment expires on 04/30/19. Estimated Lease payment based on 39 months and $8,572 due at lease signing. Cash due at signing includes $7,555 capitalization cost reduction, which includes $650 acquisition fee, plus a required security deposit of $0, and first month's lease payment of $1,017. Excludes title, taxes, registration, and license fees. Total monthly payments equal $47,209. Mileage charge of $0.25 per mile over 10,000 miles. Not all consumers will qualify. Residency restrictions may apply. Finance for $1,446 per month at 3.9% APR for 60 months with $8,744 down payment. Payment expires on 04/30/19. Estimated Finance payment based upon 3.9% APR for 60 months, with a down payment of $8,744. Excludes title, taxes, registration, and license fees. Some customers will not qualify. See your authorized dealer for complete details on this and other offers. Residency restrictions may apply. Lease for $1,037/month for 39 months with $8,744 due at signing including $0 Security Deposit and 10,000 miles per year. Payment expires on 04/30/19. Estimated Lease payment based on 39 months and $8,744 due at lease signing. Cash due at signing includes $7,707 capitalization cost reduction, which includes $650 acquisition fee, plus a required security deposit of $0, and first month's lease payment of $1,037. Excludes title, taxes, registration, and license fees. Total monthly payments equal $48,143. Mileage charge of $0.25 per mile over 10,000 miles. Not all consumers will qualify. Residency restrictions may apply. Finance for $1,326 per month at 3.9% APR for 60 months with $8,681 down payment. Payment expires on 04/30/19. Lease for $949/month for 39 months with $8,681 due at signing including $0 Security Deposit and 10,000 miles per year. Payment expires on 04/30/19. Estimated Lease payment based on 39 months and $8,681 due at lease signing. Cash due at signing includes $10,733 capitalization cost reduction, which includes $650 acquisition fee, plus a required security deposit of $0, and first month's lease payment of $949. Excludes title, taxes, registration, and license fees. Total monthly payments equal $47,710. Mileage charge of $0.25 per mile over 10,000 miles. Not all consumers will qualify. Residency restrictions may apply. Finance for $1,489 per month at 3.9% APR for 60 months with $9,004 down payment. Payment expires on 04/30/19. Lease for $1,068/month for 39 months with $9,004 due at signing including $0 Security Deposit and 10,000 miles per year. Payment expires on 04/30/19. Estimated Lease payment based on 39 months and $9,004 due at lease signing. Cash due at signing includes $7,937 capitalization cost reduction, which includes $650 acquisition fee, plus a required security deposit of $0, and first month's lease payment of $1,068. Excludes title, taxes, registration, and license fees. Total monthly payments equal $49,555. Mileage charge of $0.25 per mile over 10,000 miles. Not all consumers will qualify. Residency restrictions may apply. Finance for $1,469 per month at 3.9% APR for 60 months with $8,881 down payment. Payment expires on 04/30/19. Estimated Finance payment based upon 3.9% APR for 60 months, with a down payment of $8,881. Excludes title, taxes, registration, and license fees. Some customers will not qualify. See your authorized dealer for complete details on this and other offers. Residency restrictions may apply. Lease for $1,053/month for 39 months with $8,881 due at signing including $0 Security Deposit and 10,000 miles per year. Payment expires on 04/30/19. Estimated Lease payment based on 39 months and $8,881 due at lease signing. Cash due at signing includes $7,829 capitalization cost reduction, which includes $650 acquisition fee, plus a required security deposit of $0, and first month's lease payment of $1,053. Excludes title, taxes, registration, and license fees. Total monthly payments equal $48,889. Mileage charge of $0.25 per mile over 10,000 miles. Not all consumers will qualify. Residency restrictions may apply. 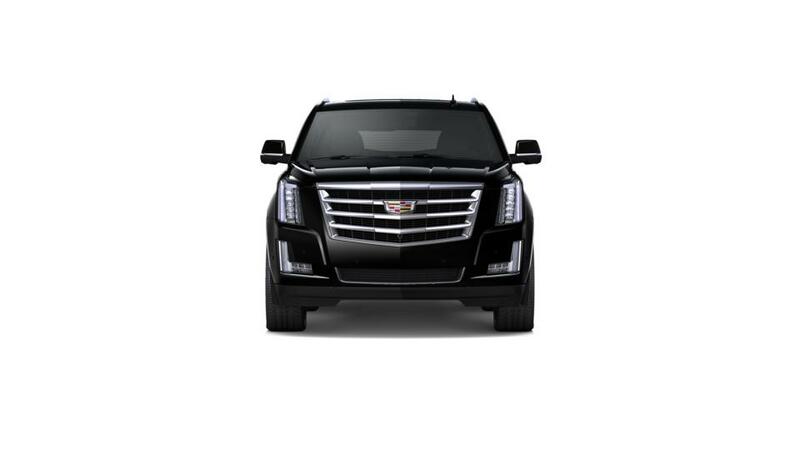 Learn more about the new Cadillac at Cable Dahmer Cadillac of Kansas City. 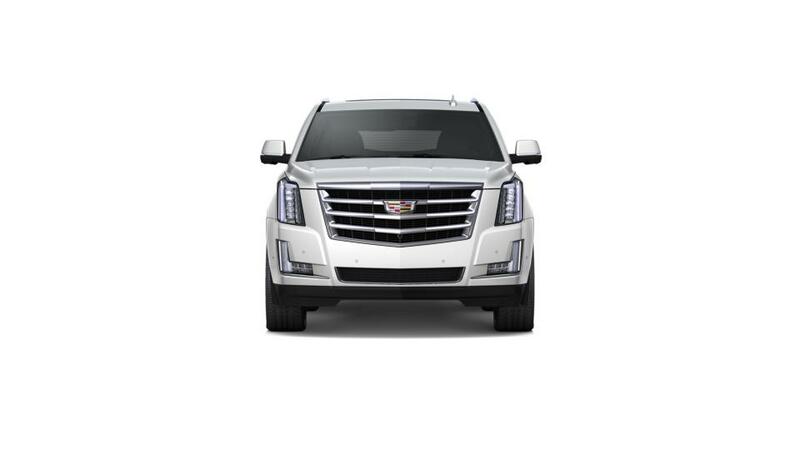 Call 888-202-4773 or visit us near Overland Park, Olathe, and Lee's Summit to test-drive a new Cadillac today.